HINERAVA makes every effort to ensure that the content of the Website is accurate and up-to-date, but HINERAVA does not offer any warranties (whether express implied or otherwise) as to the reliability, accuracy or completeness of the information appearing on the Website. HINERAVA may remove material from the Website at its own discretion and without giving any notice. You acknowledge and agree that all copyright, trademarks and other intellectual property rights in the Website content, software and all HTML and other code contained in this Website, shall remain at all times vested in HINERAVA and/or its licensors and is protected by copyright and other laws and international treaty provisions. Any other trademark remains the property of its respective owner(s). Users may not modify, copy, distribute, transmit, display, redistribute, reproduce, publish, license, commercially exploit, create derivative works from, transfer, or sell any material which may be displayed on the Website from time to time without first obtaining permission to do so from HINERAVA in writing. The Website and its contents are copyright material and the copyright is owned by HINERAVA unless stated otherwise. Without limiting the foregoing, copying the above listed materials to any other server or location for publication, reproduction or distribution is expressly prohibited. Generally speaking, trademarks appearing on the Website are either owned by HINERAVA or HINERAVA has obtained limited use permission from the trademark owner to use the trademark on the Website. Any other third party trademarks remain the property of their respective owners. If you wish to obtain permission to make use of any of the trademarks or other material that may be displayed on the Website from time to time please contact us. HINERAVA shall not be responsible for seeking any additional authorization required for third party use of any trademark not owned by or licensed to HINERAVA for such use. You are permitted to use the material that is displayed on the Website from time to time only as expressly authorized by HINERAVA or its licensors. This Website is intended to provide information relating to HINERAVA. Users may not use this Website, or any of the material appearing on the Website from time to time to further any commercial purpose, including (but not limited to) advertising or to promote or generate activity on any other website. HINERAVA does not knowingly contact or collect personal information from children under 13 and its website is not intended to solicit information of any kind from children under 13. • To provide information or services to you as requested by you. • To let you know about information and services from HINERAVA in which you may be interested. • To improve the content of the website. • To customize the content and /or layout of the website for each individual user. • To notify users about updates to the website. • Do compile and disclose statistics about our users and their preferences. However, these statistics are anonymous and do not identify individual users. Hinerava will not pass any of your personal information to any third party, other than members of HINERAVA, without your consent. HINERAVA will not be held responsible for non-performance in case of absolute impossibility to deliver due to stock shortages or the unavailability of the product, disruption, total or partial strike of the postal and transit services of transportation and / or communication, flooding, fire. HINERAVA will not incur any responsibility for any indirect damages because of the present, losses of exploitation, loss of profit, loss of chances, damages or expenses that could occur because of the purchase of the products. In case of unavailability of the ordered product, the consumer will be informed at the earliest and will have the possibility to modify or to cancel his order. The consumer will be able to ask within 30 days following the cancel date of the order, either the refund of the payment, or if the case arises, an exchange of products that are featured at equivalent prices, with agreement from HINERAVA. The prices of the products are indicated in French Pacific Franc (XPF) and Euro (EUR). Prices in USD (US Dollars) are provided for information purposes only. Your bank may use a different conversion rate at the time of transaction. Secure Payment is made through OSB. The accepted methods of payment are VISA, MC, AMEX and JCB. Orders paid by wire transfer will only be fulfilled upon receipt of the payment; the delays of availability, like the shipment for example, will be calculated again from the record date of the means of payment. All goods, except otherwise noted, are shipped from Tahiti, French Polynesia. 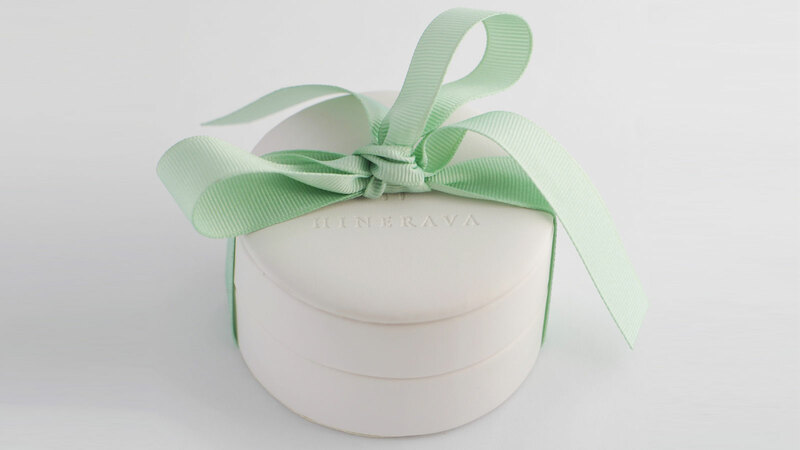 All orders placed on Hinerava’s online boutique are delivered in our exclusive and signature packaging. HINERAVA offers insured international shipping by DHL which requires 1-2 weeks delivery time. In case of further delay, HINERAVA shall notify the customer. The DHL shipping is available at a flat rate fee of 26 Euro (EUR). For orders within French Polynesia or otherwise pre-arranged, the customer may select Free Delivery/ Pick Up and contact us at info@hinerava.com to arrange such delivery. The customer has the legal and contractual obligation to verify the physical state of the content of the package at delivery time, in presence of the carrier. All defects concerning the delivery should be indicated imperatively on the carrier’s delivery voucher, including detailed handwritten remarks with date and customer’s signature. HINERAVA wants you to be completely happy with your purchase. If you are not completely satisfied with your purchase, you may return any new and unworn item within 30 days of purchase for a full refund or exchange. Sale and discounted items are final and cannot be returned. Personalized items or other special orders are non-cancelable and non-returnable. Hinerava offers a lifetime guarantee on all its gold jewelry and pearl strands purchased at full price and without discount. The lifetime guarantee includes repairs and restringing due to design defects and quality issues as assessed at Hinerava's sole discretion, and does not include accidental wear and tear or lost items. Hinerava offers a 90-day guarantee on all sterling silver and vermeil jewelry purchased at full price and without discount. The 90-day guarantee covers repairs due to design defects and quality issues as assessed at Hinerava's sole discretion, and does not include accidental wear and tear or lost items. Contact us at info@hinerava.com and we will gladly assist you. Prior to any returns, the customer must contact HINERAVA by email at info@hinerava.com with their original order number. A return authorization number shall be issued and must be clearly noted on the return package. All returns must be in their complete original packaging and be shipped prepaid and insured. HINERAVA is not responsible for lost items and cannot issue credit for lost items. Upon receipt, Hinerava reserves the right to refuse a refund if the merchandise does not meet return policy requirements. All products returned without prior customer service contact and return authorization number will be refused and returned to the sender.